Anton grew up at Lapalala Wilderness where his parents Clive and Conita Walker assisted the late Dale Parker in the establishment of the reserve, which has become an important rhino sanctuary and was the first private reserve in South Africa to introduce the black rhino. Anton joined the permanent staff of the reserve in 1996 and is today the general manager of the 45 000 hectare sanctuary. 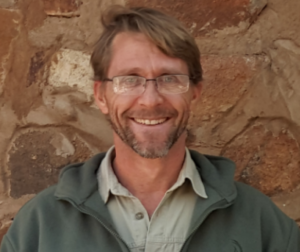 He has worked closely with both species of rhino over the past 16 years in all areas of management, including monitoring, field operations, capture and care. Anton has recently co-authored the book The Rhino Keepers with his father Clive Walker.